The HARDA film project, New Land New Life, has led to other mini-projects for East African communities here and abroad. Our current project is collecting and sending used PCs to our friend Girma Dabi’s old school 100km south of the Ethiopian capital Addis Ababa. 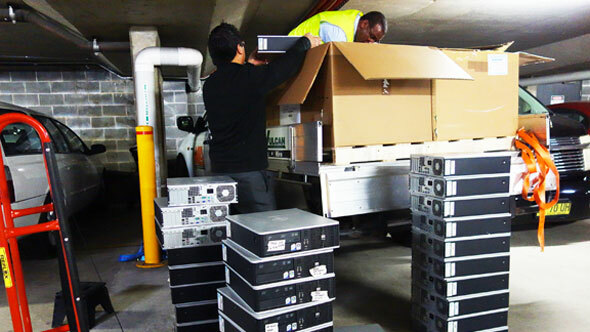 Here’s Girma packing up his work ute with 50 computers donated by Sydney Grammar school.